To their detractors, they're dirty alien invaders whose incessant chatter ruins Sunday morning lie-ins. To their supporters, they're beautiful, cheerful reminders of warmer climes amid the winter chill. 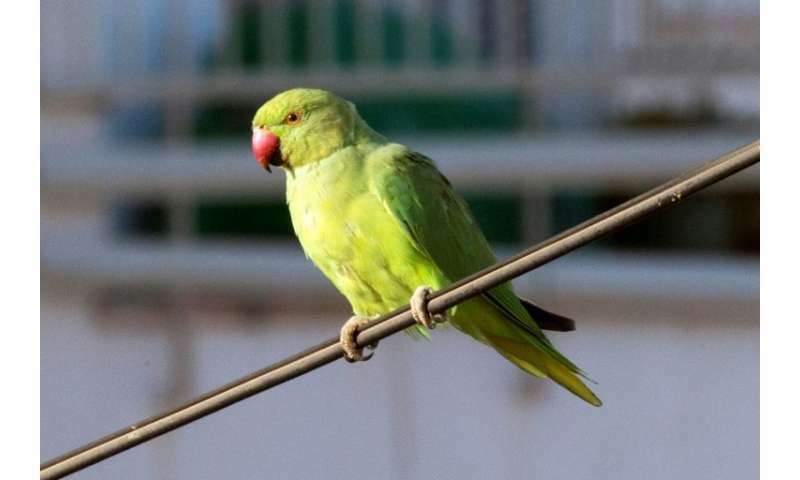 Love 'em or hate 'em, thousands of rose-ringed parakeets, close relatives of parrots, have made their home in the Netherlands over the past five decades, and their growing presence has become a source of noisy debate. They gather in garden trees and around schools; they even roost outside the Dutch parliament in The Hague, with urban legend telling how one debate was drowned out by the birds' constant calls. Imported from Pakistan in the 1960s to brighten the aviaries of wealthy Europeans—especially the Dutch and British—over the years many escaped and have now successfully adapted to life in the city. 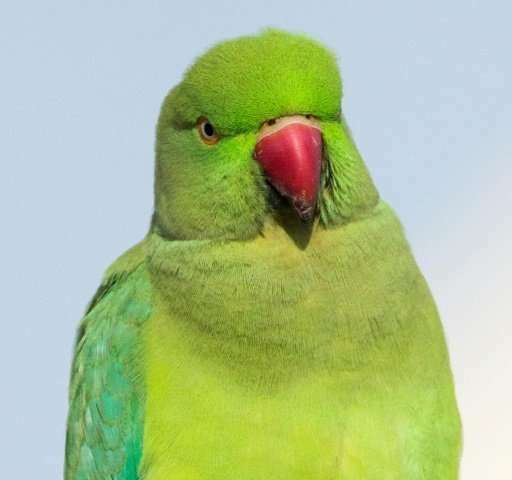 Indeed, the rose-ringed, or ring-necked parakeet was listed among Europe's top 100 most invasive species in the scientific journal Biological Invasions in December. "Some residents are even thinking of moving house because of their infernal noise," said Wilfred Reinhold, president of an association fighting against the birds' presence in the country. In Leiden, biologist Roelant Jonker has taken the country's oldest colony of the birds under his wing, despite being allergic to their feathers and even though his passion was sorely tested six years ago. While studying a group of yellow-eared parrots in the jungles of Colombia, Jonker was taken hostage by FARC rebels, a "traumatising experience" which lasted eight months. "Of course they are charming... but they also cause a lot of damage," said Reinhold, keeping a watchful eye on some budding chestnut trees outside the Dutch parliament. "Nets could be dropped on the trees at night to catch hundreds of them," he suggested, accepting however that using guns to shoot them down "would not be a very good idea in the city". But removing them would be too costly, argued Jonker, declaring: "There is nothing to do. They are here, they are going to stay." The next generation will see the parakeets "as ordinary birds... and they will be as ordinary as all the different colours of people and birds in Europe," he added. The fines in Amsterdam for feeding have nothing to do with the 'halsbandparkieten' but are a measure against the spread of rats. By the way, if you want to remove invase species, what about humans....? if you want to remove invase species, what about humans....? Without humans, there woudn't be anyone to define us as an invasive species and literally nobody would care or mind. That's the paradox of misanthropists. The one who is universally despised is the one who is universally despising, and nobody else. Putting the antifreeze diluted with fruit syrup on window ledge will do its job. Poisoning them isn't a good idea because poison traps aren't very specific to parakeets, and the dead birds get eaten by predators like urban foxes, cats, which also get poisoned, which means other pests like rats and mice start to grow out of proportion. However, all birds are extremely sensitive to vaporized PTFE, it's like cyanide gas for them, so you could theoretically do the net drop on a tree and gas them without much danger to other wildlife. There's a project for some hacker. Put a webcam on a bird feeder to detect the presence of birds, and if you get a lone parakeet puff them with poison gas. Other birds get to stay.